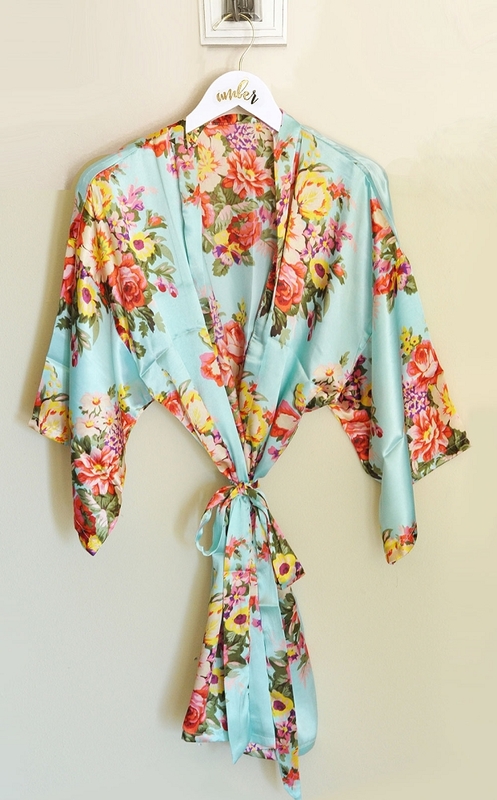 Floral Robes are an ideal gift for bridesmaids, the bride to be or even as a birthday gift! 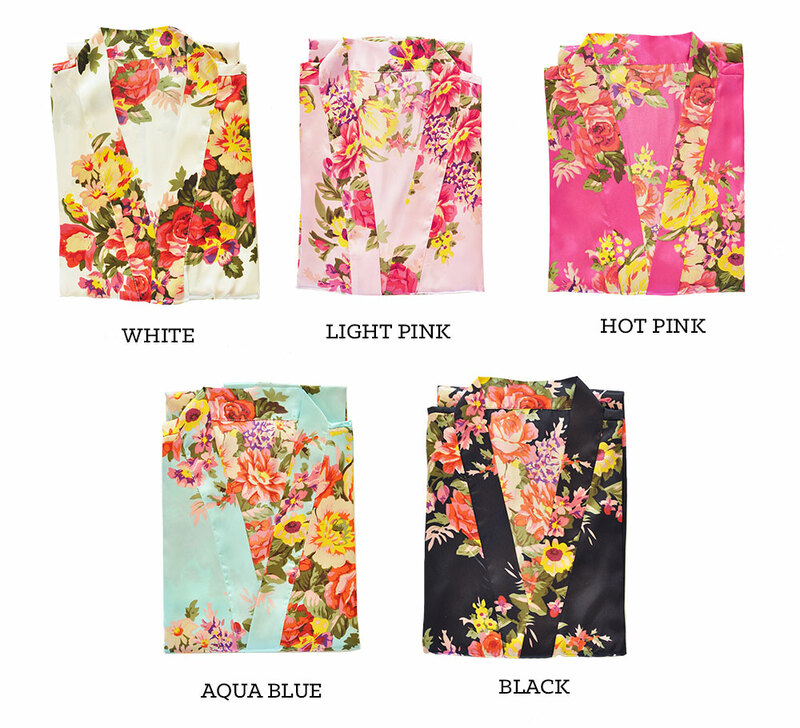 These delicate robes come with a large floral print and are made of soft polyester satin. 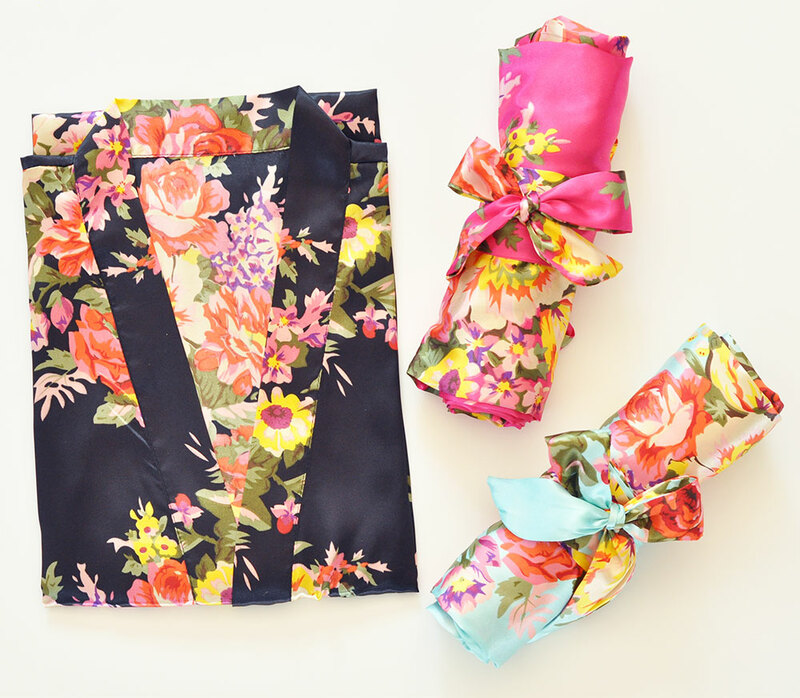 Each robe comes with a matching belt for the outside and a small tie closure on the inside.